Bio of a Narrative Changer: Ms. Felicia Meadows currently works as a Professional School Counselor. She has worked in the field of education for almost 20 years and has experience at each level from elementary to high school. In addition to being a counselor, Ms. Meadows is also a youth coach. She uses her skills and experiences efficiently to empower students to create fulfilling educational and life experiences, which embodies her motto “Step Up Your Life”. As the Founder and CEO of Tomorrow’s Future Coaching and Consulting, Ms. Meadows helps young people discover their passion and purpose so that they can create the life of their dreams. Ms. Meadows earned both her Bachelor of Science Psychology Degree and Master of Education Degree in Guidance and Counseling from Bowie State University and studied with the Institute for Life Coach Training to become a Life Coach. She has taken coursework in Urban Education from Johns Hopkins University to enhance her skills working with diverse populations. Ms. Meadows has been a member of Congresswoman Donna Edwards’s Education Committee since the 2102-2103 school year and served as a moderator for the Congresswoman’s 2012 and 2015 Annual College Fair. She also serves as both panelist and facilitator at conferences, summits, workshops and symposiums with topics ranging from College and Careers to turning your Dreams to Reality. Ms. Meadows was spotlighted in 2012 on the Careers in Psychology website for her interview on her role as a School Counselor. 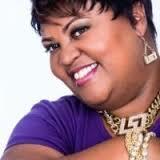 In addition to being spotlighted, she has also written numerous articles and been featured through media. One of her biggest accomplishments in 2014 was working as part of a collaboration as a contributing author of the book, “Congratulations You Just Lost Your Job”. She is also the co-author in the anthology “Fabulous New Life” which was released in early 2015. Q. How is Your Work Changing The Narrative? I founded Tomorrow's Future Coaching and Consulting in 2013 after discovering that young people don't really "dream" anymore and those that do, don't necessarily have the tools and resources to help them navigate a pathway to their dreams. My goal is to help young people identify their interests skills and abilities so that they can create a plan for themselves based on what they are passionate about and purposed to do. Developing self awareness at an early age assists them with making a smooth transition from adolescence into adulthood.